I have just recently fallen in love with a dark, rich… red lipstick! I found a coupon in the newspaper for $2 off the new Cover Girl Lip Perfection lipstick. I bought it in Euphoria 360. I wanted a red-violet wine color and this lipstick hits the mark. The texture is so smooth and “pillow-y” soft, my lips feel immediately more hydrated and voluminous (not sure if it’s the color or the lipstick formula that make them look so full). 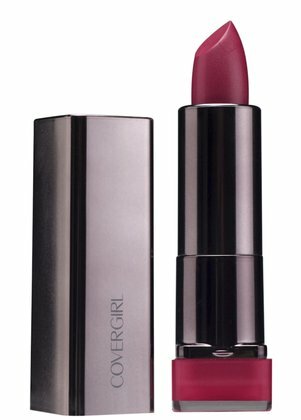 I am so impressed by this lipstick, I really didn’t expect it to be as long wearing as it is – and when it does start to fade it leaves the prettiest purplish-pink “stain” color, like a lipstick and a lip stain all in one. I highly recommend this line of lipsticks, especially if you can nab a coupon!